PRIME Minister Narendra Modi on Friday fired a fresh salvo at the Opposition for raising questions over the IAF air strike at Jaish-e-Mohammad (JeM) camp in Balakot in Pakistan. “It is been a month (since the IAF airstrike took place) and Pakistan is still counting bodies. When India takes action against terrorists, enters their house and kills them, some people here are asking for evidence,” Modi said at a public rally here. Accusing the Congress of demeaning the Armed Forces and scientists, the Prime Minister said it was about time to give an “apt reply” to those insulting the capabilities of the Armed Forces and the scientists. “In the last seven decades, those people who have betrayed the poor are now insulting our Armed Forces and scientists day and night. It is about time to give an apt answer to people who are insulting the capabilities of our scientists and the armed forces,” he said. Modi highlighted his Government’s “achievements” in space under ‘Mission Shakti’ and at grass-roots level through various social welfare schemes, and asked people to vote for an administration that can take concrete decisions and not just raise slogans. 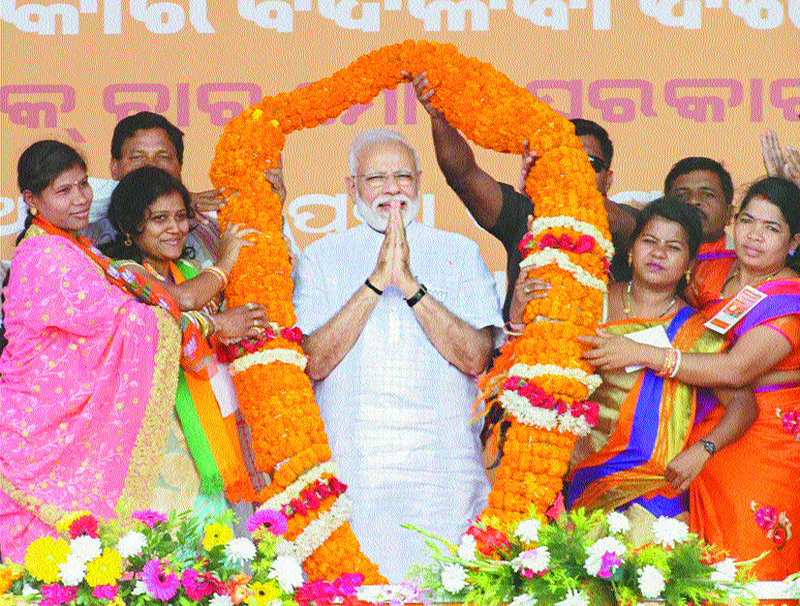 Launching his campaign for the April-May parliamentary election in eastern India with a rally in the Jeypore area of Odisha’s Koraput district, Modi referred to the successful anti-satellite (ASAT) missile test under ‘Mission Shakti’ and said his government has put a ‘chowkidar’ even in space.